So Christmas has come and gone. Warm weather, no snow, green countryside – it has not felt like winter, other than the short days and long nights. Christmas here in Strathspey began with the arrival of stepdaughter Hazel and boyfriend James up from Edinburgh until early January to the delight of Hazel’s mum Denise and me. The day before Xmas Eve we ventured into the woods and finding a pine brought down in recent storms acquired some branches for Hazel to bind together into a thick, bushy and aromatic ‘Christmas tree’. Back home we brought out the box of Xmas decorations for its annual emergence into the light only to find that mice had been nesting in it and had ruined many of the decorations. The result was an austere minimalist tree, though still attractive with glass stars and silvery lights. And a resetting of the mouse trap – a metal box they can enter but not escape from (except for some damn clever ones that have managed it somehow). Since obtaining this new trap a month ago well over 30 mice have been caught and released into the woods. Maybe some are the same ones returning. Or maybe there are just masses of them, far more than in previous years. The day also saw a first visit from our new neighbours, who I expect we’ll be seeing again as they run the company Backcountry Survival. Their visit also explained the presence of a large canoe in a ditch near our house. They’d moved in during the recent stormy and wintry weather and it had blown away and then frozen into place. The Christmas feeling continued that evening with the Grantown-on-Spey Torchlight Procession with flaming brands and Santa in a sledge pulled by reindeer from the Aviemore Reindeer Centre and led by a pipe band, followed by carol singing in the town square. The air wasn’t as frosty as usual but the bright torches and the reindeer did create a sense of midwinter celebration. Xmas Day we always go for a short walk after opening presents (outdoors stuff – well, I did get a calendar with pictures of bears!). Often it’s in the snow; usually it’s in frosty, wintry conditions. This year the mild weather that had swept away the snow in one huge thaw a few days earlier meant it felt more like September than December even though there was a brisk wind. The fields were green and in one we even found daisies in flower, an astonishing first for Xmas. Surprisingly there was still ice on some of the puddles, though most of the ground was soggy and muddy, released from frost and snow back into the saturated state it’s been in much of the year. Dinner, Dr Who, charades, friends round on Boxing Day, cutting wood for the fire, mince pies, Xmas cake, Terry Pratchett’s Hogfather DVD – Christmas continued as a mix of excitement, entertainment, eating, conversation and overall satisfaction. Now for New Year, and maybe snow. View from the Pacific Northwest Trail on the High Divide in the Olympic Mountains. Ron Strickland, the creator of the Pacific Northwest Trail and author of the PNT guidebook and the excellent Pathfinder, had a look at the blurb on the publisher's website for my book on the trail and decided it didn't really cover everything so he put in a passionate and eloquent suggestion of his own. I won't reproduce it as Sandstone Press has published it on its and you can read it here. I must say though that I've never been compared to Burton or Speke before! And I love the idea of the American Congress making me a special gift of the trail. Thanks Ron. The book itself is virtually finished. The last pages will be with Sandstone Press tomorrow. Update: Some good comments on the Sandstone blog. Thanks! And the book was finished on time. 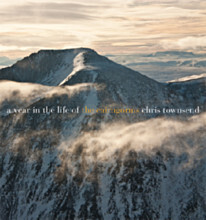 Above is the cover of my book on the Pacific Northwest Trail, designed by Heather MacPherson for Sandstone Press. I like it very much. Thanks Heather! The picture was taken in the Pasayten Wilderness in the Cascade Mountains. The book will be published next year. The Sandstone Press announcement can be found here. With the first big storm of winter just past I've started thinking about trips in the snow and winter camping and walking so I thought I'd post this piece which I wrote for TGO a year ago after the first big winter storm of 2010. My thoughts haven't changed. As I write this in late November the snow lies deep across much of Britain and winter has set in hard with record low temperatures. The weather has brought the usual chaos to the roads but once it settles down the hills and wild places should be superb for winter backpacking. For me this snow has brought a feeling of excitement and desire that never comes with grey skies and rain, the norm on too many winter days. I have visions of climbing pristine white slopes with a perfect mountain world spread out all around and then camping beneath a star-filled sky with a crisp frost sharpening the senses and making every sound ring. I relish the thought of lying in my warm sleeping bag with a mug of hot chocolate watching the snow drifting gently across the landscape. Winter camping can be a joy. And when the wind picks up and rattles the tent and sends swirling snow into every crevice I love feeling secure inside my tent, listening to the storm thrashing the land. Before the snow that closed the lowlands came there was already snow in the hills and I had made two overnight trips into the frozen mountains. Both of these brought the pleasures of winter backpacking and also the pains. The first was to a favourite spot of mine, the great cliff-ringed bowl at the head of Loch Avon, arguably the finest corrie in the Cairngorms. The forecast was for clearing weather but the hills were shrouded in dense cloud and drizzle was falling when I set off. The wet summer and autumn and recent heavy rain meant the lower ground was saturated and the streams full. I climbed up the Fiacaill a’Choire Chais into the wet mist, crossed below the invisible summit of Stob Coire an t-Sneachda and descended into boggy Coire Domhain from where a badly eroded stony path lead steeply down to the corrie and long Loch Avon. As I dropped out of the cloud the loch appeared, grey and windswept, while whitewater streams roared down the hillsides. The floor of the corrie was sodden and I had to pitch on damp ground, choosing a spot that didn’t squelch too much under my boots. As the chilling drizzle continued I was soon inside the tent in my sleeping bag with a hot drink wondering what had happened to the drier, clearer weather. During the early part of the night gusts of wind shook the tent and rain rattled on the nylon. Awake before dawn I noticed whiteness around the edge of the porch, a light dusting of snow. The temperature was now below freezing and there was ice on my water bottles. Looking out I could see stars. Daylight came with a bright sky, hazy sunshine and dappled clouds. The mountains were spattered with snow, stark and dramatic. The tent was frozen to the ground. Back up on the Cairngorm plateau the sky was blue and I could see far out to the west. The fine weather didn’t last long though and by the time I reached the summit of Cairn Gorm the clouds had rolled back in and all I could see was the weather station, plastered with frost and snow. The rain returned as I descended back to the car. I didn’t mind. The glorious morning had made the trip worthwhile. My second trip was to Creag Meagaidh and another favourite spot, Coire Ardair with its little lochan nestling under huge jagged cliffs. Again the forecast suggested fine, cold weather. Again it was only partly correct. I camped beside cold, dark Lochan a’Choire with the rock walls, shattered pinnacles and stony gullies rising above me into grey clouds. There was only a smattering of old snow on the corrie floor but not far above the slanting slabs were white. Venturing into one of the wide stony gullies I could see long icefalls spreading over the cliffs high above. During the night there were flurries of snow and when I woke the ground was frosty and crunched underfoot. Clouds still hung over the summits and a chill wind blew. Not wanting to move camp higher in these conditions – especially as the tent was a previously untried test model – I made a round trip to Creag Meagaidh, a real winter excursion requiring use of ice axe and crampons. I kicked steps up the crusty snow filling the wide steep cleft leading up to the notch called The Window. Above this the snow was thinner and icier so I used crampons for security on the slope up to the huge gently tilted plateau of Creag Meagaidh. I was in the cloud now and found it hard at times to distinguish between the air and the ground. Both were white and hazy with only ripples in the snow and the occasional rock giving me anything to focus on. Compass bearings led me to the summit and a sharp cold wind. Chilly though it was I welcomed this wind as it sometimes tore apart the whirling clouds to give brief views of the surrounding peaks and down to dark glens. A silver sun pulsated weakly through the clouds. The light and the clouds changed every second and the world felt very unstable. Only the snow-encrusted rocks of the summit cairn seemed solid and fixed. I followed my steps back across the plateau to The Window then dropped below the cloud and back to camp. From above my little grey tent looked tiny and fragile against the immensity of the landscape. It had kept off the wind and snow however and provided a warm shelter for a hot drink before I packed up and descended out of the mountains. As with many winter trips there were only short periods of clear weather on these ventures and the tops were often in cloud. However one of the delights of winter backpacking is being out there in the wilds during times of magical light, clearing skies and frosty sunshine even if these are brief. This is very much the time of year to welcome any sunshine, any abatement of the wind, any clearance of the clouds. It’s also a time to enjoy the comforts of camp. In summer with the long hours of daylight I resent spending much time in the tent, impatient to be outside and walking. In winter I’m happy to lie in the tent, warm and snug, listening to the wind, watching the snow fall, staring out at the ice-bound landscape. I don’t close the tent up unless the weather is really stormy, unlike in summer when midges often force me to zip myself in, and so don’t lose my contact with the outdoors. And when storms do mean closing the doors then I’m happy to lie and read a book and make endless brews and mugs of soup. Even in bad weather winter backpacking can be fun. The January 2012 issue of TGO is out - so of course, given the odd way magazines use dates, it contains a Christmas Gift Guide. Amongst the suggested items is the latest edition of The Backpacker's Handbook, which keeps me happy. In this issue my backpacking column, headed Shelter from the Storm, is about bothies while in the Hill Skills section I look at how to keep warm at night when winter camping. In the gear pages there's my test report on the new Primus OmniLite Ti multi-fuel stove, which is excellent, and a review of sixteen fleece jackets, which is good timing as winter weather has just begun. Also useful for the cold is John Manning's review of fifteen down jackets, which is illustrated with some entertaining pictures of Mr Manning bundled up in various of the garments. Keeping with the cold theme there's a section on Winter's Magic that includes winter walks on various mountains such as Snowdon, described by Jim Perrin, and Creag Meagaidh, described by Cameron McNeish. Also in Winter's Magic is advice from Heather Morning, the Mountain Safety Adviser for the Mountaineering Council of Scotland, on skills and gear for the winter hills. In the Hill Skills section, but very relevant to winter, is a useful piece by John White on driving in freezing conditions and preparing your vehicle for the cold. Elsewhere in the magazine, which is a fat one at 130 pages, Mark Diggins describes his work as co-ordinator of the Scottish Avalanche Information Service; Roger Smith is rightly concerned at plans for a new town in the Cairngorms National Park; Ed Byrne tries his hand at fishing; Cameron McNeish says let Mallory and Irvine rest in peace; Ronald Turnbull praises Rannoch Moor; Carey Davies tackles the Fairfield Horseshoe; Andrew Terrill has a chilly Christmas long-distance walk in the Dolomites; Jim Perrin celebrates George Borrow's Wild Wales; Nathan Skinner explores the Black Mountains and extreme climber Andy Kirkpatrick ponders reconciling adventure and fatherhood. It'll take me a while to get through all of that! Today I was interviewed by Mark Stephen for the Out of Doors BBC Radio Scotland programme about my A Year In The Life Of The Cairngorms book and about my Pacific Northwest Trail walk. The first interview should be broadcast this weekend - the programme goes out at 6.30 am on Saturday, repeated at 11.05 am on Sunday - and the next a week later. The programe will also be available on iPlayer. As Mark was coming from Aberdeen and I was coming from Grantown-on-Spey we met in Keith, where we had an excellent lunch (brocolli and stilton soup) in the wonderfully named Boogie Woogie Cafe before finding a quite spot for the interviews. Getting to Keith was quite interesting given the snow which, despite it being December when snow in Scotland is hardly unexpected, has caused some problems on the roads. I had five miles of minor roads before reaching the A95 main road. None of those minor roads had been cleared of snow and every bend (and there were plenty) was quite slippery even though I have snow tyres fitted. Not once did I go above 15mph or get out of second gear. The A95 had been ploughed and gritted but there were still slippery snow patches on some of the sheltered stretches deep in shady hollows. I was more concerned though by some of the other drivers, especially those who decided that because of snow on the edges of the road they should drive down the middle, expecting anything coming towards them to get out of the way. I crept along the verge a few times while the other vehicle sailed past taking up most of the road. But the journey there and back was completed safely, even if it did take much longer than expected. More snow is forecast, perhaps up to 10cms, so I'm glad I don't have to drive anywhere tomorrow. Maybe it'll be time for skis or snowshoes instead. 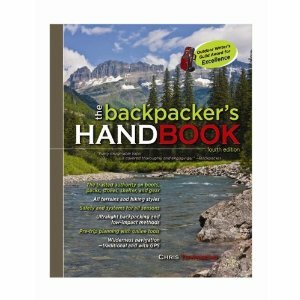 I'm pleased to say that the first review I've seen of the fourth edition of The Backpacker's Handbook has appeared on MyOutdoors.co.uk and the reviewer likes my book. Thanks! 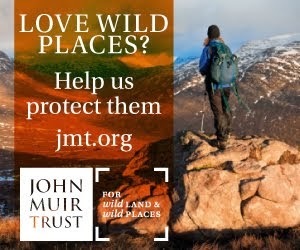 The TGO Challenge is a unique backpacking event that takes place every May and involves crossing the Scottish Highlands from coast to coast. The letters of acceptance for the TGO Challenge 2012 have just been sent out to those successful in the draw for places so many people will be poring over maps and guidebooks as they start planning their routes. 2012 will be my 14th Challenge. As yet I haven't decided on a start point, let alone a route, though the latter will involve many hills, as always. 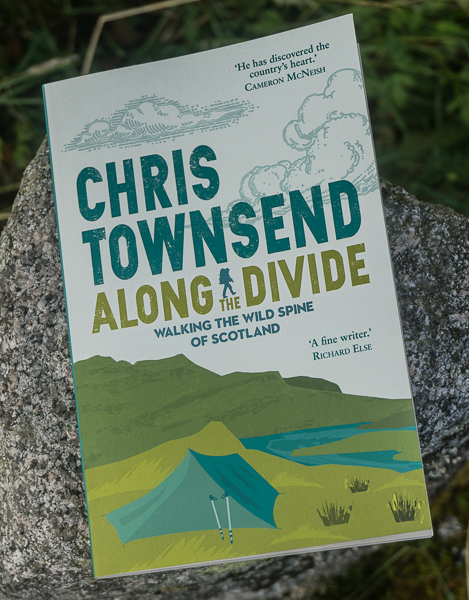 Here I've posted a feature I wrote for TGO on the 2008 Challenge to give a taster as to what the Challenge - or indeed any long walk in the Scottish Highlands - can be like. Thinking back to previous Challenges as I set out this year on my 12th I realised that I categorised them according to dominant features, usually weather related. The hot, the cold, the sunny, the wet, the dry, the windy, the snowy, the tent free (bothies most of the way), the sociable. What, I wondered, would this year bring. The answer was to be surprising. It was the Challenge of the Camp Sites. Now camp sites are important on every Challenge for me. I’m not one of those backpackers for whom the overnight camp is just a necessity. 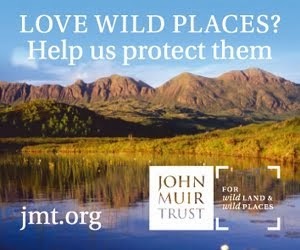 I take great pleasure in wild sites and in being able to stay overnight in the hills. For that reason I don’t plan very long days - they average around 15 miles - as I want to have time to enjoy my camps. There are memorable camps on every Challenge but on some the weather had forced me into the tent for longer than I’d like while on others my route hasn’t been the best for scenic sites. This year however the route, the weather and wonderful camps all came together. The start was not encouraging. I left Lochailort on a humid evening with the clouds low over the hills and camped after a few hours beside Loch Beoraid. Some early midges seeking first blood drove me into the tent. Rain fell during the night and I woke in the morning to mist around the tent. Shrouded in damp cloud I plodded up Sgurr na Coireachan. Unexpectedly, as I approached the summit, the world changed. I came out of the dense mist to sudden space and light. Dark peaks were rising out of the cloud-filled glens all around. High above more clouds swirled, parting briefly at times to reveal patches of blue sky and to allow bursts of sunshine to escape. The walk to Sgurr Thuilm was magical, the solid ridge seemingly suspended in the air above the insubstantial drifting mist. I had intended on camping down in Glen Finnan but I was reluctant to descend back into the mist so instead I pitched the tent not far below the summit of Sgurr Thuilm with a fine view back to Sgurr nan Coireachan, the first fine camp. Heavy rain again fell during the night and again the morning was misty. Compass work was needed to cross the ridges to the east and climb Gulvain. Dark clouds made the thought of Glensulaig bothy tempting but the view from the saddle below Meall a’Phubuill was too good to pass by and I camped amongst the peat hags with a view back to the long dipping ridge of Gulvain. Two heavily laden walkers passed by. Challengers obviously. Di Gerrard and Ngomo Charles Karugu were heading for the bothy. Maybe see you tomorrow, I said. In fact it would be Montrose before I saw them again and I met no other Challengers the whole way across. This could have been the solitude Challenge, except that there have been others when I’ve met no one at all (never intentional – I just seem to pick unpopular routes!). Looks like rain, they said as they departed. Black clouds were pouring in from the east. Within minutes heavy rain was hammering down. After an hour it ceased, leaving a lovely refreshed evening. Later I heard that Challengers further east in the Grey Corries were caught in a big thunderstorm, the edge of which had just brushed my camp. The Druim Fada ridge, much the best way to reach the Great Glen from the west, led to the Caledonian Canal and a hot and enervating Fort William where I spent the best part of a day browsing in shops and nibbling in cafes. I wanted to climb Ben Nevis but not in this heat. Although I’d climbed the Ben on other long walks I’d never done so on the Challenge, turned away at different times by snow, wind and cloud. Late in the afternoon I set off, my pack the heaviest it would be with six days supplies inside. Dozens of people were descending. Many just gave me strange looks (some directed at my sandals). Others commented on the lateness of the hour and warned me there was snow on the summit. “I know”, I replied to the first, and “good” to the second. The latter met with surprised looks. But it was the snow that had me climbing the Ben in the evening. Looking at the snow-capped mountain from the Druim Fada the day before I’d suddenly realised that the snow meant a soft bed for camping and a water supply. When snow free the summit of the Ben is a huge boulder field on which pitching a tent would be extremely difficult and sleeping comfortably even harder. There is a small, dark, smelly and rubbish-filled shelter but the idea of using this had always struck me as unpleasant. By the time I reached the summit the last day walkers had long descended and I was alone. I pitched the tent on deep snow near the trig point then wandered round the summit plateau watching the hills all around slowly sinking into night. Across Glen Nevis the Mamores turned a rich red and gold. Beyond the dark cliffs of the north face Loch Eil shone in the last sunlight. A raven wheeled overhead and a snow bunting hoped about on the snow, hoping for crumbs. A half moon rose and the first stars glittered. All was calm and silent. The snow made for the softest and least bumpy pitch of the whole walk and I slept well, waking to a gusty east wind, drifting mist and a hazy sun. When I finally left the cloud had sunk down into the glens and bright sunshine shone on the Ben. I’d had the summit to myself for 14 hours. After crossing the Carn Mor Dearg arête I looked back at the vast magnificent north face of Ben Nevis and marvelled that I’d camped on the summit. It was the high point of the walk, both literally and emotionally. The fine sites were not over though. That night I camped on the saddle between Aonach Beag and Sgurr Choinnich Mor and then, after traversing the Grey Corries, beside Loch Treig, where dawn saw an absolutely calm loch with beautiful reflections. Two nights later I was in Gaick Pass after being briefly lashed by hail on Carn na Caim. I woke to ice in my water bottles, frost on the tent and a temperature of -2˚C. But outside the sun was starting to warm the hillsides. Two red deer grazed nearby, glancing at the tent nervously. A snipe drummed overhead. I breakfasted outside as the tent dried. Four nights remained, of which two were memorable. One was Tarf Bothy, now renovated and roomy, the other beside the Water of Mark, high on the moors before the final descent to the lowlands and the coast. The night on Ben Nevis was one of the finest wild camps I’ve ever had anywhere, enough on its own to make this year’s Challenge special. Combined with the other excellent wild camps it explained yet again why I keep coming back. Every Challenge is unique and every one has something exceptional and memorable about it. I wonder how I’ll remember next year’s. In the Selkirk Mountains on the Pacific Northwest Trail. I'm delighted to announce that I have a publisher for a book on my Pacific Northwest Trail walk and that the publisher is here in the Scottish Highlands - Sandstone Press. The book will be published next summer and will have many photographs as well as my words. The title is Grizzly Bears and Clam Shells: Walking America's Pacific Northwest Trail, for which, appropriately, I have the trail's founder Ron Strickland to thank. Now I'd better return to actually writing the book!